It could save almost any cooking disaster! When you’re getting dinner on the table, don’t be so hard on yourself. 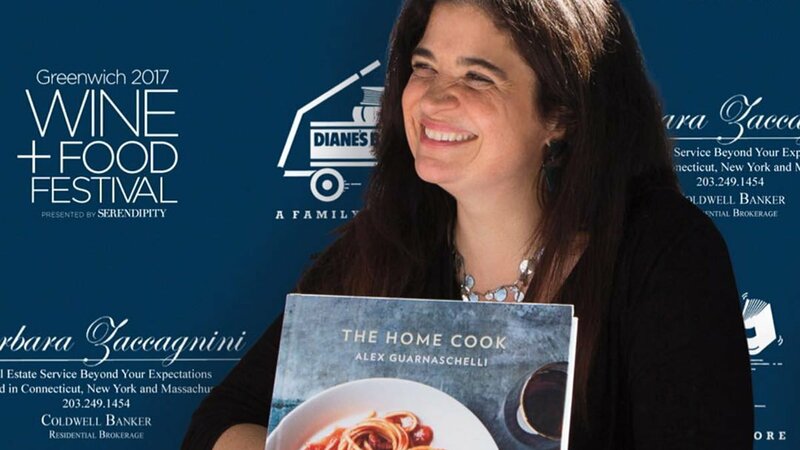 At least that’s the advice coming from celebrity chef Alex Guarnaschelli (and we agree!). Even after years of running her famous restaurant Butter in New York City and working on the hit television show Chopped, she still finds simplicity to be key when getting a good meal on the table for dinner. Dinner doesn’t have to always be a fancy affair (especially with these easy dinner recipes), and that’s advice coming from a well-known chef herself. And when it comes to getting dinner on the table, Alex has a few tricks up her sleeve. And she should know—she literally wrote the book on home cooking. While she claims water to be her key ingredient while cooking, she also has two other go-to ingredients that assist her while cooking dinner. Alex also has an obsession with vinegar, especially since it’s an ingredient her father loved to use while she was growing up. His “mouth-puckeringly” strong vinaigrettes were used for salads or even to soak up a side of broccoli with some garlic. Vinegar will always bring Alex back to those childhood memories. She’s certainly well known in the world of foodies, so it’s natural to assume that Alex would mix some of her restaurant cooking with what she does at home. Alex, however, explains that it’s the absolute opposite of how she lives her life. She values that work-life-balance (aka, leaving work at the restaurant or on set) and keeping things simple when cooking at home. While the world may be obsessed with slow-cooked, one-pot, or even Instant Pot meals, Alex swears by the baking sheet (here’s the type our Test Kitchen loves). Throwing a few pork chops on a baking sheet is one of her go-to family meals on a busy weeknight. Her reasoning? The minimal cleanup she’ll have to do afterward. Some of her favorite ingredients for sheet pan dinners? Think chicken thighswith an onion medley (onions, leeks, shallots, and a few slices of lemon), beef top round, and even mushrooms or eggplant for a Meatless Monday. She recommends seasoning these items with some olive oil, salt, pepper, and even a dash of curry or cumin before roasting it in the oven. Add some garlic gloves, tomatoes, beans, or some broccoli florets and you have yourself a meal. Lining a baking sheet to roast dinner certainly does make cleanup a lot easier. Between that and a quick wipedown using her go-to Lysol spray, the kitchen is left smelling clean and fresh in no time. Plus, bellies are full and her family is happy. Article by Kiersten Hickman for Taste of Home. View the original article here.